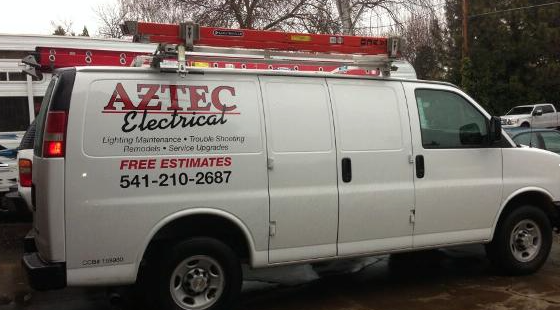 Aztec Electrical Services In Southern Oregon: Lighting retrofit benefits - what are they? Lighting retrofit benefits - what are they? 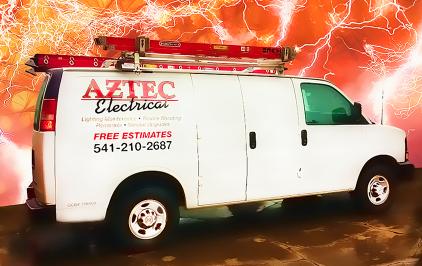 At Aztec Electrical we are here to assist your lighting retrofit projects to maximize the short term and long term energy benefits. The Energy Trust of Oregon provides cash incentives and rebates for qualifies energy projects. At Aztec Electrical we are a Trade Ally - qualified to help you determine the best lighting project for your home or business that meets the Energy Trust specifications. High quality lighting can improve facility safety, reduce quality incidents, improve productivity and increase occupant satisfaction. Newer technologies often have better lighting-quality characteristics, such as improved color, reduced flicker and greater light output. A recent study found that one in four workers experienced a loss in work time based on vision problems and discomfort caused by poor lighting. The study found improvements in the average office lighting system can result in a 3-5 percent gain in employee productivity. By consuming less electricity, your facility can reduce its electrical load, thus reducing the demand and associated emissions from "off-site" power generation.